We have a new Identity Swap from Lucas Daitchman. This time he's crossed the New Jersey Devils with the Anaheim Ducks. I know it'll never happen, but it's always fun to imagine the Bruins in their original gold and brown color scheme. Lucas Daitchman puts it to good use here. 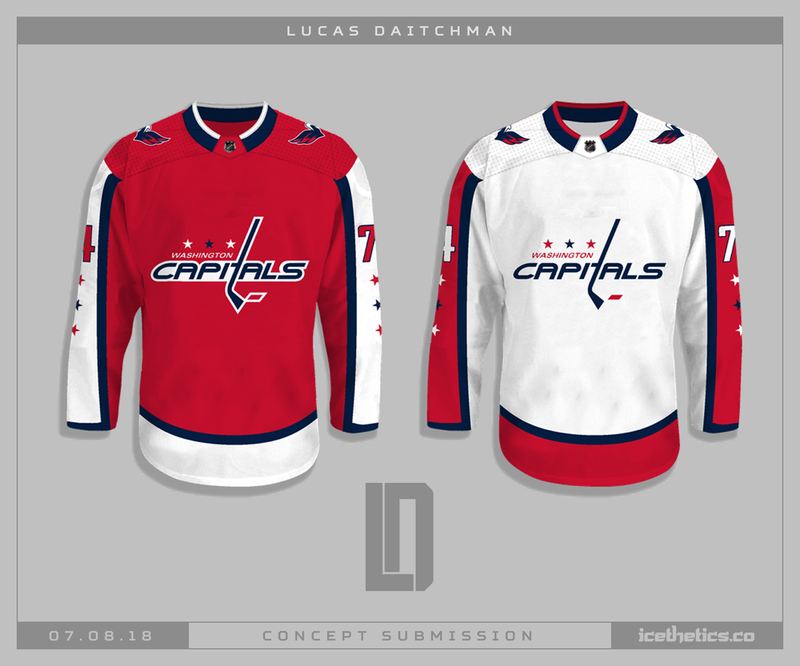 In celebration of the Washington Capitals' first Stanley Cup championship this year, Lucas Daitchman corrects a logo "error" in today's concept. The New York Islanders have been a popular subject on the Concepts page of late. 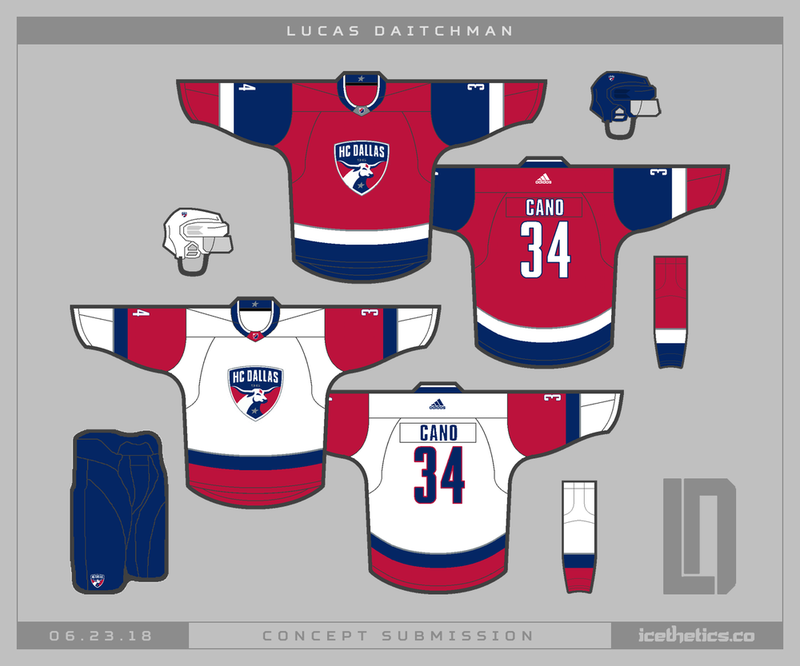 Lucas Daitchman joins the mix with a mix of new third jersey colors. Have a favorite? Lucas Daitchman debuts a new series in which he's creating hockey sweaters for non-hockey sports teams. It starts with the MLS's FC Dallas. Not a bad looking set at all!